Fundraiser Archives - SMART Management, Inc.
A few members of SMART’s Community Awareness Team; (R-L) Rimjhim, Annmarie, Cristina (holding a picture of another member, Mike), Gamze and Kristin. This summer our Community Awareness Team hosted a SMART breakfast fundraiser to benefit the Sunaay Foundation. This non-profit organization in New Delhi, India provides educational opportunities to less fortunate children in the region. At the front of the room, our team presented an inspirational and educational video about the foundation. This featured students of the learning center and Sunaay Founder Richha Sharma. The video explains that among the many unique qualities of this learning center, sessions are held entirely outdoors. This helps to keep costs low and to ensure that all donations go to helping the children directly. Our team personally, planned, purchased, baked, cooked and served up an amazing breakfast to SMART Associates. Everyone made a reasonable monetary contribution. The associate turnout at this latest SMART Community Awareness Fundraiser was great. Moreover, everyone who attended is thrilled for the opportunity to do good while being treated to a delicious breakfast. Follow us on facebook and view the full fundraiser photo album. “Sunaay” stems from the word “Suneeti.” It is an initiative of like-minded individuals who have agreed to work towards a common cause, to empower underprivileged, uneducated children to live meaningful and self-reliant lives. Based out of New Delhi, India, they are involved with imparting primary education. This is accomplished through an outdoor makeshift, multi-graded, interactive learning program. Students are underprivileged children aged between 2 -12 years. 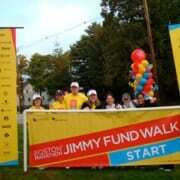 September 21, 2014, The Jimmy Fund will be hosting their annual walk to raise money for cancer research. The walk will take place on the Boston Marathon 26.2 mile route. Proceeds from this event enable leaders at Dana-Farber Cancer Institute to apply funds to promising new research opportunities. SMART’s IT Manager, Mason Snyder and his wife Stacey have dedicated their time for the past 7 years to raising money for the Jimmy Fund. Above all they participate in honor of their dearly departed friend Janna Paster. 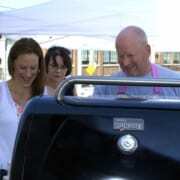 In September, SMART’s Community Awareness Team will host a cookout to help raise funds toward the cause. All SMART Associates and nearby businesses are encouraged to attend. More details will be announced soon! If you would like to donate but cannot attend the cookout fundraiser please visit http://www.jimmyfundwalk.org/2014/masonsnyder to contribute. This summer Associates on SMART’s Volunteer Community Awareness Team raised money to donate to pre selected charities. With this in mind, AIDS Care Ocean State was selected as our fundraising recipient. Accordingly, the team came together to host a monthly BBQ lunch. Nearby businesses and SMART staff purchased tickets in the weeks prior. About 40 people participated in this fundraising event. As a result, the Community Awareness Team raised nearly $400 to donate to this charity. They chose to donate to this charity in support of the services they provide to individuals affected by substance abuse. AIDS Care Ocean State offers: syringe access, support/counseling, housing, HIV testing, HIV/AIDS prevention and case management services. AIDS Care Ocean State is the largest resource center of its kind in RI. 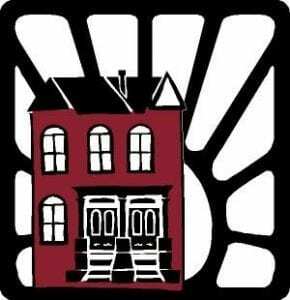 AIDS Care Ocean State is dedicated to providing quality housing, case management, medical and nursing care, and prevention. Specifically, they serve adults, families, adolescents and children who are affected by or at risk for HIV infection. Additionally, AIDS Care Ocean State will act as an advocate for individuals and families at risk. And they provide support services to ensure a high quality of life for the people they serve. 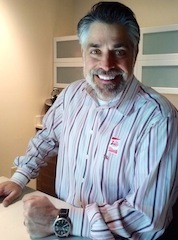 Thanks to the generosity of SMART’s President / CEO, David Piccoli, II, a group of home office associates participate in company-supported yoga classes. Moreover, associates were encouraged to select meaningful charities/non-profits to receive a donation of the class fees. Since the inception of SMART’s yoga program, the associates have donated to several deserving causes. 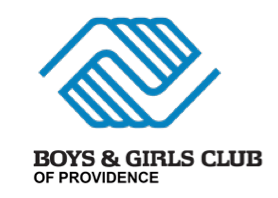 In May, the SMART Associate “yoginis” chose to donate to the Providence, RI chapter of The Boys and Girls Club. 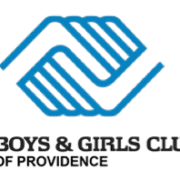 This organization is committed “to enable and inspire children and youth, especially those from diverse or difficult circumstances, to reach their full potential as productive, responsible, and healthy members of their community, the State of Rhode Island, and the nation.” All donations are channeled to the Boys and Girls Club annual fund to ensure that children in need have access to a wide range of programs. For June and July, the class selected the Big City Mountaineers’ Summit for Someone Program as the chosen charity. This nonprofit raises money to send underprivileged, urban youth on life-changing wilderness trips with mentors. Most notably, the program has proven to decrease the incidence of high school drop out by 50%. Summit for Someone Program Mentor Kristin Re’s fundraising efforts supported an unforgettable trip with the children to one of the country’s most popular climbing destinations, Wyoming’s Wind River Range. As a result, our associates are excited for the ongoing opportunity to help make a difference in their communities. Finally, SMART Associate “yoginis” would like to express their gratitude to SMART’s President for passing along his charitable spirit. April 23, 2014 – April is Autism Awareness Month. SMART Management’s Provider Relations Representative Candi Arevalo and her family are participating in The Autism Project Walk. This will be held at Goddard Park on Sunday, April 27th in honor of her wonderful son Tyler. If you would like to make a donation to help her team reach their goal please visit their fundraising page. 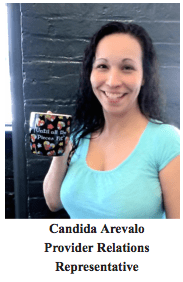 No donation is too small … every dollar counts!!! If you or someone you know are interested in participating, the check-in time is at 9:00 am and the walk starts at 10:00 am. However, you don’t have to participate in the walk to enjoy the Family Fun Day. This includes a reptile show, a visit from the URI Rams Football Team, cotton candy, and popcorn, obstacle course, face painting, arts and crafts, a marketplace and much more! Autism affects a child’s ability to communicate, understand language, play and build relationships. 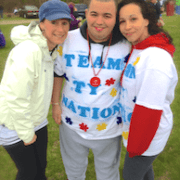 Candi’s son, Tyler was diagnosed with Autism at the age of five. He has struggled over the years with sensory issues, communication, and overall socialization. Fundraising organizations like The Autism Project and Autism Speaks are there to advocate, teach and support not only children but their families as well. Candi explained that “Thanks to these organizations, Tyler has progressed enough to be a member of the Unified Special Olympics Basketball Team, a sport he absolutely loves. He has actually become renowned for his famous 3 point shot!! The support that Tyler receives from autism programs has helped him become more independent. It has also allowed him to overcome some of the many challenges of Autism. 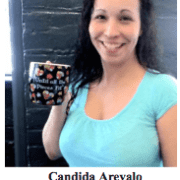 Is the fastest-growing serious developmental disability in the U.S.
April 2, 2014 – As a part of SMART Management’s established associate run community awareness efforts, in the Month of April we will be focusing on two separate but equally important causes. These are the Run to Stop MS and the Imagine Walk and Family Fun Day for Autism Awareness Month. 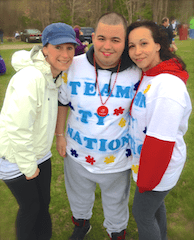 SMART Associates will take part in the 12th annual Imagine Walk and Family Fun Day for Autism on April 27th at Goddard Park in Warwick, RI. 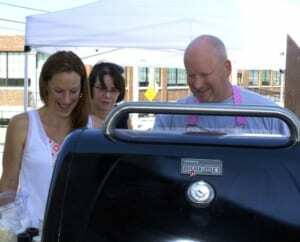 This event was established to show support to Rhode Island Families of children with autism. For more details or to sign up visit the Autism Project website. Then May 3rd Associates will be lacing up their sneakers for the 6th annual Run to Stop MS 5K. The run is at Colt State Park on May 3rd in support of those who are afflicted with Multiple Sclerosis. For more details or to sign up visit the National MS Society website. SMART Management, Inc. has established an associate run community awareness team to raise awareness of a different cause each month. February is National Heart Month. Our goal is to raise awareness of the importance of keeping your heart healthy. The hope is to empower associates to take control of their personal cardiovascular health. Symptoms of a heart attack vary between men and women. It is important that our associates are aware of the different signs, especially if heart disease runs in the family. 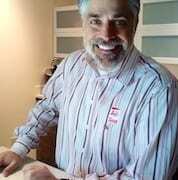 February 7th is National Wear Red Day. The American Heart Association started the “Go Red for Women” campaign. This is aimed at educating the public about women and cardiovascular disease. A heart attack is the number one killer of women today. It’s called the “silent killer”. Most women do not recognize the symptoms of heart disease until it’s too late. SMART Associates participated in wearing red on this day and/or wore their “Red Dress” pins/stickers. SMART is very proud of our associates for showing their support. It’s “heart” warming to see so many willing participants.